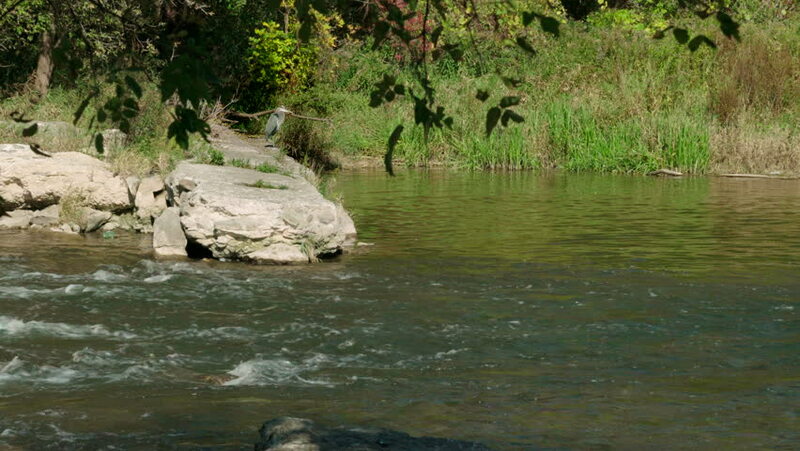 Heron across the river. Handheld shot. Heron standing on the rocks across the river looking for his next meal. Or maybe just enjoying the late afternoon autumn sunshine. hd02:15Slow motion. Black bear walking to and in a stream of water where salmon come to spawn. Wildlife animal hunt for food to eat depending on the life cycle of the large fish to return to the creek. hd00:27A small stream in the garden where the water flows through the rocks. hd00:15Beautiful river rapids in emerald water. hd00:12Beautiful Ilgumensky threshold on the Katun River.